Our Probate Litigation: Nuts and Bolts program takes an in-depth look at the pre-procedural rules, statutes, and major issues and areas of law that you need to handle when dealing with probate litigation. Since so much of probate litigation is the time leading up to actual trial, a large portion of the program will be focused on all of the actions, procedures and tasks you must know about, and accomplish, long before you get to trial. You’ll also get concrete advice regarding trial procedure and what to expect. Our speakers cover a multitude of procedural issues, statutes and case law that govern Probate Litigation, and provide practical advice geared to helping you succeed before and at trial. This audio program is geared towards the attorney who already has a good understanding of estate planning law and terms. Litigators wanting to know more about this form of litigation may want to order some of our estate planning audio packages to familiarize themselves with the concepts, legal areas, terms and other particularities of estate planning – of which there are a lot – prior to taking this course. You can search on “Estate Planning” under our audio tab to find many options, or call us for some suggestions (877) 858-3848. The recording date for this program is April 13, 2018. “This was the best seminar!” – Arielle Cole, Esq. “My personal objectives were very well satisfied!” – Jonathan David, Esq. “This program was very comprehensive. Great job. All the instructors were excellent!” – Daryl L. Jones, Esq. “This program made me comfortable with disputes and what will happen.” – Anne Sunne Freeman, Esq. “I wanted to refresh and sharpen my skills. I did!” – Gilbert K. Squires, Esq. 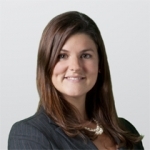 Alison K. Brown is a commercial litigation attorney in the firm’s West Palm Beach office. She has worked on a wide variety of significant litigation, including civil Racketeer Influenced and Corrupt Organizations Act (RICO) claims, fraud, shareholder rights lawsuits, investor claims and government investigations. Prior to joining Holland & Knight, Ms. Brown worked in the public sector as an Assistant Attorney General arguing cases before the Missouri Courts of Appeals and the Supreme Court of Missouri. She also served as a career law clerk to the Honorable Kenneth L. Ryskamp in the U.S. District Court for the Southern District of Florida. In the community, Ms. Brown serves on the Advisory Board of the World Affairs Council of Palm Beach, an organization that promotes understanding of the world through people-to-people diplomacy, distinguished speakers and educational outreach programs. She also took a one-year sabbatical to volunteer with Legal Services of Eastern Missouri to represent victims of domestic violence in the organization’s family law section. Joshua R. Levenson is a partner in Holland & Knight’s Fort Lauderdale office and is a trial attorney in the firm’s Litigation and Dispute Resolution practice. He concentrates in the areas of commercial litigation, trusts and estates litigation, medical malpractice defense, premises liability, title insurance litigation and commercial landlord-tenant litigation. Mr. Levenson handles cases in both state and federal court and his trial experience includes handling matters from the pre-suit phase through trial. Ellen S. Morris is a partner in the law firm of Elder Law Associates PA. She was admitted to practice law in Florida in 1990. She devotes all of her professional time to elder and special needs law, wills, trusts and advance directives, Medicaid and disability planning including preparation of applicable trusts, guardianship, asset preservation planning, estate and trust administration, elder and special needs law litigation, including guardianship litigation, fiduciary litigation, will contests and nursing home residents’ rights litigation. She was named to Florida Trend magazine’s Florida Legal Elite in 2007 through 2013 and was named a Top Lawyer by the South Florida Legal Guide in 2012. 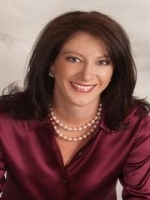 Ms. Morris was chosen as a Florida Super Lawyer from 2009 through 2013 and recognized as a Palm Beach Illustrated Top Attorney in Palm Beach & Martin Counties in 2011. Additionally, she was the 2008 Florida Bar Elder Law Section “Member of the Year”. Ms. Morris has an AV® Preeminent Peer Review Rating from Martindale-Hubbell, the highest rating afforded an attorney. Ms. Morris is a graduate of the University of Florida with honors where she received her undergraduate and then her law degree in 1989. Prior to focusing her career on elder law, Ms. Morris practiced as an Assistant State Attorney for Dade County, Florida under the direction of State Attorney Janet Reno. Ms. Morris serves as Chairperson of the Elder Law Section of The Florida Bar and is currently co-chair of the Joint Public Policy Task Force of the Elder Law Section of The Florida Bar and AFELA. Previously, she held the position of Legislative Chair of the Elder Law Section of The Florida Bar and served as Co-chair of the Elder Law Section of the South Palm Beach County Bar Association. Ms. Morris is also on the Board of Directors of the Academy of Florida Elder Law Attorneys (AFELA) and is active in the Florida Association of Women Lawyers, South Palm Beach County section. In all of these roles, Ms. Morris participates in elder and special needs law-related legislative initiatives, devoting much of her time to analyzing new rules and updated regulations affecting seniors, those with disabilities and their families who require government services and protection. Ms. Morris has also been involved with the Alzheimer’s Association, Southeast Florida Chapter, SOS Children’s Village, Jewish Family Services located in Broward and Palm Beach counties, the Florida State Guardianship Association and Junior Achievement. She is a Washington Club and Congressional Club member of AIPAC. Ms. Morris frequently lectures on elder law and special needs topics. She was an instructor for Florida Atlantic University’s Lifelong Learning Society (LLS) in 2011. She was featured in the Palm Beach Post’s Moving Up section for her developing elder law and special needs practice and has been quoted in the Palm Beach Post, Wealth (Reuters), Sun-Sentinel and ABC News online. Kelly represents businesses, fiduciaries, and individuals in trust and estate litigation, real estate litigation and complex business litigation. She also represents businesses before government agencies and advises candidates regarding campaign laws. Kelly’s experience spans state, federal and local government forums. She has managed cases in multiple parallel forums, including arbitration, and brought cases successfully through appeal. FL General: This program is approved for 9.0 general CLE units in Florida through October 13, 2019.